I was pretty happy with the front end of the car. It had a similar 'but different' front splitter mounted on the original GTST front bumper and it looked quite the part. 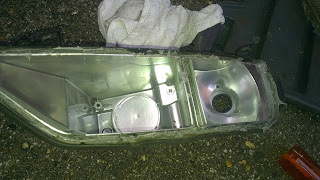 However as it was a FRP (fibreglass) item and being on the lowest part of the car, it was susceptible to no end of stone chips. Additionally having a true 'splitter' front lip sticking out, extending the length of the front end it would annoyingly 'ground out' on the slightest incline. It was after another of my grounding incidents and hasty repair jobs at the end of last summer that I finally decided enough is enough, a replacement front of some description being needed. Now as the casual reader may already know, I do have a habit of forming ideas on what I want to achieve and collecting parts. Be it over weeks or even months! So my parts list was as follows. 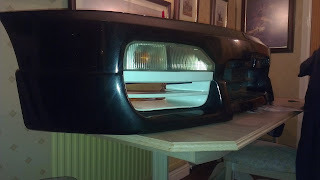 Standard GTST bumper, GTST Nissan front spoiler and a set of four door front light indicator units. With these standard bits I set about creating something a bit more distinctive, whilst staying true to the original car and not bolting something vulgar to it! 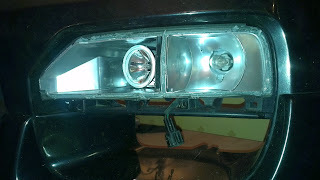 Now everyone knows that the specification 2, two door variant comes with a round headlight and indicator unit. The four doors however are fitted with a specification 1 style 'straight' light unit. It is exactly the same style as the dual unit and drops into the light aperture of the bumper with no modification required. 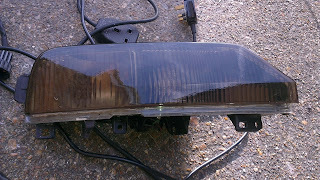 Four door front indicator unit. You will note from the picture that the four door unit has a grill unit also built into its styling. The amber of the indicator can be clearly seen, giving a 'fried egg' look to the overall design. 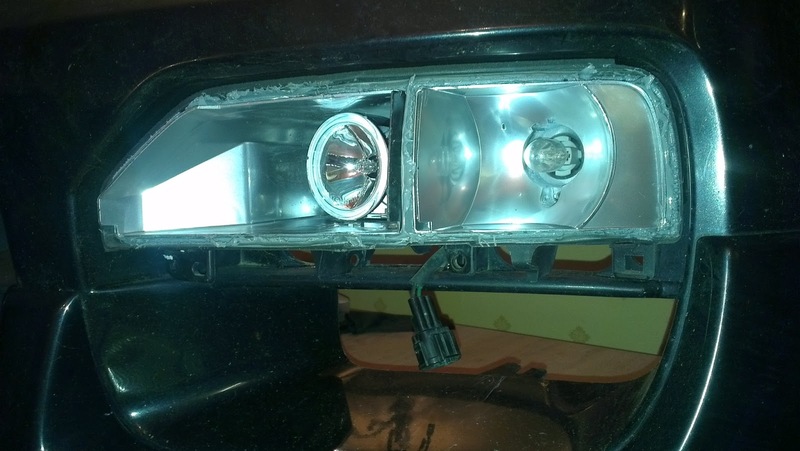 The aperture for the fog light is there, but no fog light/driving light unit is fitted. The first order of work was to remove the lens from the unit, allowing me to get to work on the inside. This is done by placing the light in the oven at around 100 degrees for 8 minutes. This allows the gunky glue to get tacky and the lens to pull away from the light. 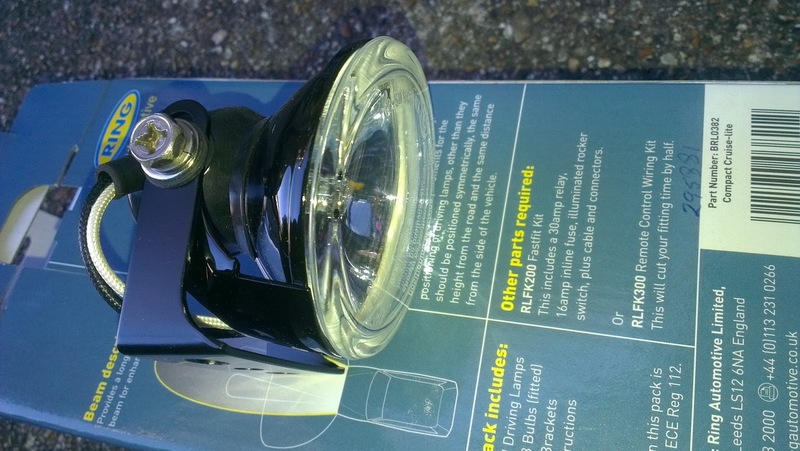 Indicator lens for that fried egg look. 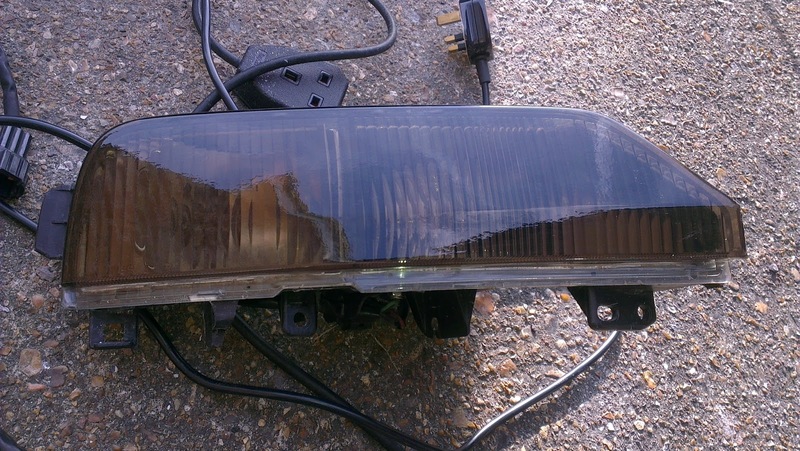 As there are no fog light units fitted I obtained these after market items. Happily they slotted into the opening with only a slight modification to the bracket. 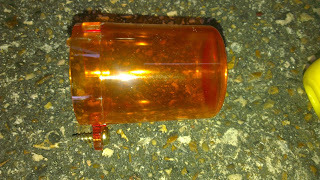 Once drilled and bolted up the new light looked as though it had always belonged there. The lens needed to be reattached, as there was plenty of original glue it was cooked again for five minutes and the lens was pushed home into place. Finally some tinted light protection film was applied.